It’s a clear, sunny day in New York City when the protesters gather on Wall Street. The World Bank and IMF are there “for their semi-annual Third World Gangbang,” and the protesters arrive to shout into the darkness. In a skyscraper looming over the city, a sniper looks out the window down on the gathering mob. The chest of an unidentified protester explodes from the sniper’s bullet. In a few minutes, the cops arrive on the scene, tearing through buildings and scanning the windows, trying to place the shooter. The press follow soon after and that’s when the sniper gets to work again. The first kill was just bait meant to draw in the assassin’s real targets — reporters. Oh, and there’s three snipers. Not just one. In seconds, the brains of New York City’s local news anchors are all over the pavement. The violence has only just begun. Welcome to The Nightly News. 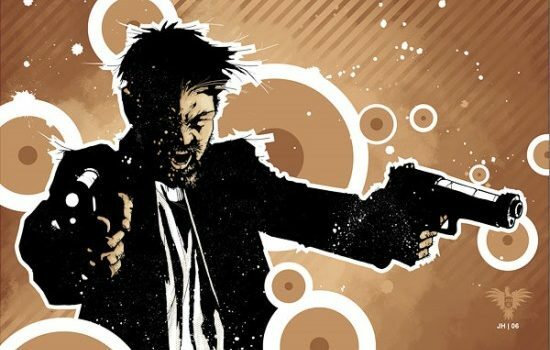 In 2006, writer and artist Jonathan Hickman broke into the comics scene with The Nightly News, a six-part series depicting a domestic terrorist organization murdering journalists. 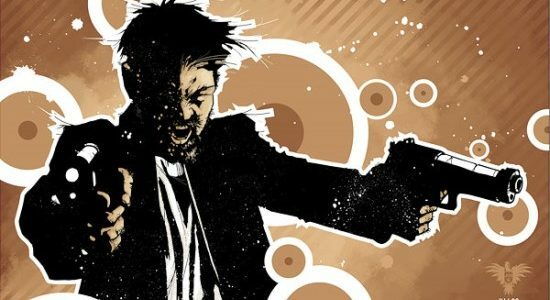 These days, Hickman is a comic god. He made The Fantastic Four fun again, revitalized S.H.I.E.L.D. and blew minds with independent mind-fucks such as Pax Romana. Before all that, he was a frustrated and angry writer living in South Carolina, churning out scripts. The Nightly News was the first one that hit. The book is about revenge and control. It quotes Chomsky and then calls him an idiot, digresses into half-page infographics about childhood drug abuse in the educational system and then suggests bartenders dip their dicks into drinks ordered by journalists before serving them up. One page you’re reading about a U.S. Senate bill and the next you’re watching heads explode. It’s not like any other comic. 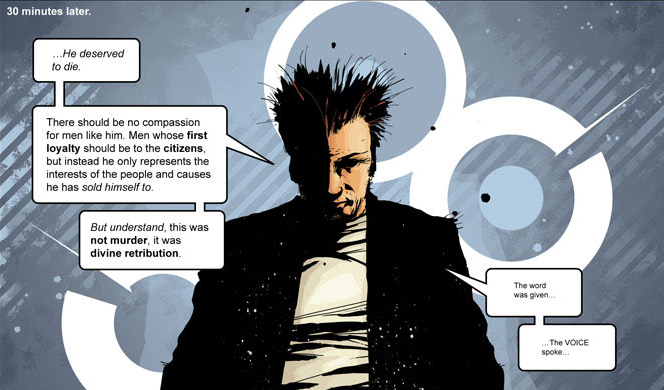 At its core, the comic is about the distrust Americans have of journalists. Again, Hickman wrote this in 2006 and it’s frightening to see how much worse things have gotten. In the book, a U.S. senator starts a cult and populates it with people whose lives the press has ruined. Then the senator uses the cult to commit high-profile acts of terrorism against celebrity journalists. The senator then exploits the chaos to justify passing laws that restrict press freedom and open the media up to constant legal challenges. By the end of the book, the free press in America is dead. To be clear, the journalists in The Nightly News are not innocent victims or martyrs. They’re guilty of every terrible thing both Hickman and the terrorists accuse them of. 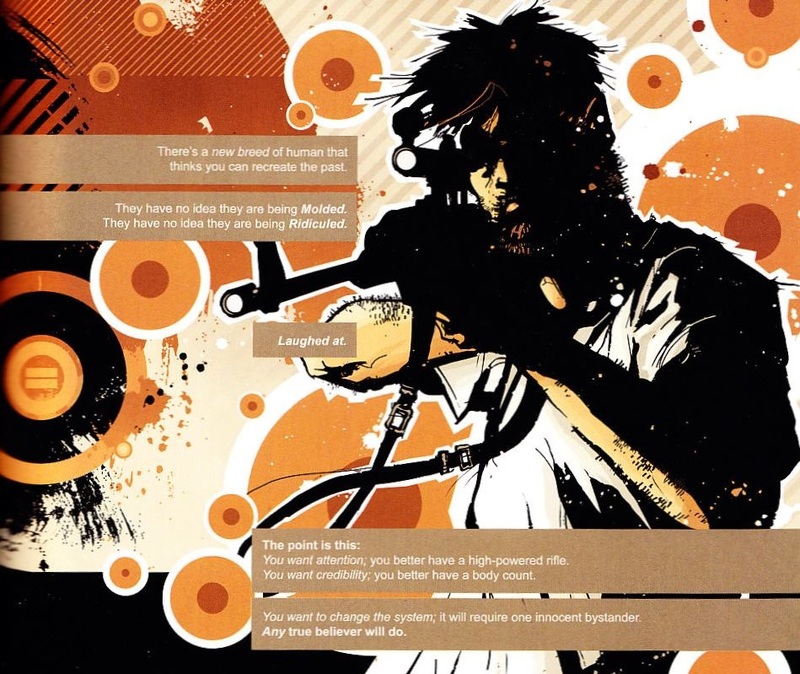 The collected version of the comic comes with Hickman’s extensive and fascinating footnotes which shed light on the author’s views of both his work and the press. There are no heroes or villains in The Nightly News. First of all, the cultists are murderers who use extreme violence to solve their problems and take revenge. Secondly, they’re literally in a cult and operating at the whims of a deranged senator with his own grudge against the news. They’re just as brainwashed and controlled as the general populace they see as warped by the news. The book makes for a haunting read 11 years since its release. The 2016 election forced America to face a lot of unpleasant realities and one of those realities is that the partisan press is poisoning the country. Because — the dirty truth is — that while I was describing snipers assassinating journalists, you the reader may have imagined a liberal or a conservative journalist being the target. We’re all culpable here. The press must also take its share of the blame too. Everyone in this business, at one point or another, has carried ideological water from time to time. Reporters sacrifice their ideals in pursuit of the story. Newspapers cut their fact-checking departments to save money. ABC tossed Gore Vidal and William F. Buckley on television because the executives knew they’d tear each other apart and bring in the viewers. It wasn’t about giving info to the people, it was about ideological bloodsport. Every time the once-brilliant Tucker Carlson brings on a liberal just to destroy them in front of his cable audience, he’s reinforcing what people hate about the press. Every time audiences mistake Joe Scarborough and Mika Brzezinski’s pearl-clutching Twitter wars with Pres. Donald Trump for “news,” America loses. Every time a local paper dies, a partisan YouTube channel is born. These are the things Hickman lashed out against in The Nightly News. It’s a book where every talking head has “perfect hair and rotten mouths.” It’s a story where people quote Chomsky only to hear “Chomsky is a retard.” It’s a book that should scare you and make you worry about the future. The Nightly News is a transcript from the early days of that siege. Let’s hope it never comes to that.